RETIRE WHEN YOU OPEN AN ACCOUNT. If you want a successful retirement, you need a realistic plan. At Vintage we begin our new client relationships by preparing a plan for our clients so we both know where you’re headed. But then life happens. Jobs change, goals are different, and inflation advances. As a result, plans need to be modified. That’s why we offer to update our clients’ plans every year—at no extra charge. Learn about some of the key challenges today’s investors face in preparing for a successful retirement. And why some old “rules of thumb” don’t work anymore. In years past, financial planners often discussed the three-legged stool of retirement income planning. One leg was your Social Security benefit, a second was your pension benefit, and the third was your personal savings. Together, the three income sources could provide a reduced but adequate retirement income. Today, the Social Security leg has some minor cracks — though it likely will be fixed to provide benefits close to what has been promised. The second leg of pension benefits that many corporations used to provide have largely disappeared, which means most Americans won’t receive a defined benefit pension check every month. Employers have replaced these expensive plans with low-cost 401(k) plans that leave the saving and investing up to employees. The third leg of personal savings has effectively merged with the second leg as few Americans save very much for retirement outside of their 401(k) plan. Given that, have you ever tried to sit on a two-legged stool? In short, retirement planning today is up to individuals, and few are successfully saving and investing enough to provide for a lengthy retirement. To make matters worse, the stock market earned little to nothing in the first decade of the 2000’s and bond yields remain very low today. Without serious planning, the idea of retiring at age 62 to a life of travel, golf, or fishing will be but a dream for most Americans today. In spite of today’s major challenges, you can plan to fund a comfortable retirement. There are two key factors to achieve that objective: 1) you need to save enough and 2) you must earn good investment returns. Let’s start by looking at investment returns, as this may be the easier problem to fix. Most Americans are baffled when it comes to knowing whether their investment returns are good or bad. They think of them as good when the stock market rises and bad when the market falls. For the record, most returns are bad. Really bad. Dalbar, a research firm, has analyzed investor returns over the past couple decades and annually updates its report, Quantitative Analysis of Investor Behavior. For the 20 years ending in December 2016, they found that the average asset allocation mutual fund investor earned just 2.29% annually versus the S&P 500 index average return of 7.68%. That’s below the rate of inflation. You might think that just investing in bond funds might yield better results, but Dalbar found those investors did even worse. The scary part is that these investors have no idea how badly they have done and are making their retirement planning calculations assuming they’ll earn 8%, 9%, or even 10% investment returns. To get an idea of the huge impact of poor investment results, let’s look at an investor that diligently saved $18,000 per year for 30 years. The $18,000 figure is the 2017 maximum employee contribution for 401(k) plans. Why the 0% return? Inflation is a key factor in retirement planning, and your investment return needs to beat inflation in order to earn a “real” return. The average asset allocation investor has earned a little more than inflation over the past twenty years according to Dalbar. The first step in retirement planning should be to begin monitoring your investment performance. Once a year is typically fine. The annual number will depend on how the investment markets performed, so you’ll need to establish a benchmark for comparison. For a balanced portfolio you might use the return of the average Moderate Asset Allocation mutual fund as calculated by Morningstar which you can find atwww.Morningstar.com. You don’t need to beat it every year, but if you are consistently below it you’ll understand that you have a problem. 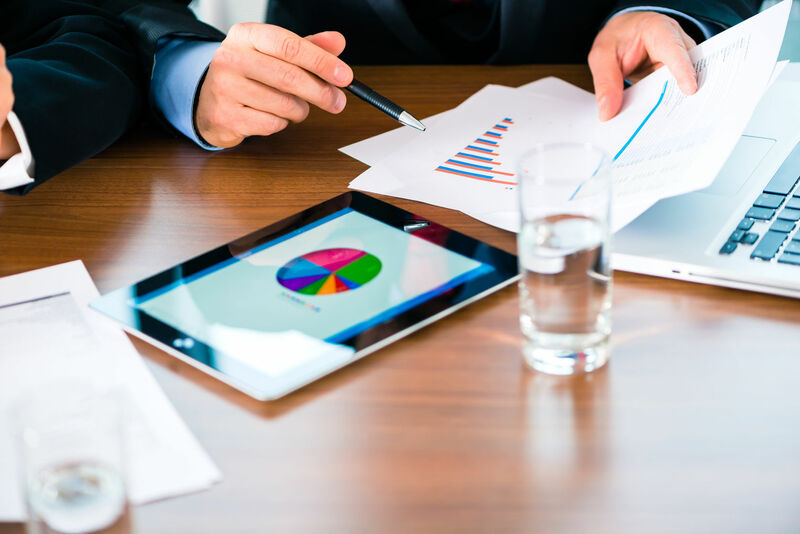 The simple solution to making the calculations and improving your investment returns is to hire a professional advisor that can manage your accounts and give you the returns and benchmarks each year. Few advisors are able to manage your 401(k) plan while the funds are held at your employer’s plan, but some Registered Investment Advisory firms can. They may have significant minimums, so you may want to accumulate $100,000 or more and then seek one out. The other key is to save. Save early, save often, save diligently. If we assume your investment return is better than the Dalbar averages, then maybe you’ve earned an average return roughly equal to the inflation rate. Let’s look at a simple example assuming that your net average investment return is the same as inflation. Once you retire, your portfolio doesn’t produce any real income as the earnings would be offset by a higher cost of living. So if you take $40,000 from a $1,000,000 portfolio, that amounts to a 4% withdrawal rate. As inflation pushes up the cost of living, you’d withdraw more each year but your investment earnings would only offset inflation. In simple terms, your $40,000 inflation-adjusted annual income would last about 25 years before you run out of money. Similarly, if you withdrew 10% per year, it would last about ten years. Unless your returns consistently beat inflation, you can take the number of years you’ll need a retirement income and divide 100 by it to determine your maximum withdrawal rate. If you need income for 30 years, then 100/30 = 3.3 (%). Most financial planners and retirement calculators assume you’ll earn much more than the rate of inflation and they paint a rosier picture. Unfortunately, Dalbar’s study indicates that most investors won’t even earn a return as high as inflation. The hard part, of course, is getting to that $1,000,000. Again, if your return is equal to inflation, then the math gets pretty easy. You can save $25,000 per year for 40 years or save $40,000 per year for 25 years. The financial planning community often uses a rule of thumb that you can withdraw 4% from your retirement portfolio each year. Their assumptions are that you’ll earn a much higher return than Dalbar’s results and that you’ll be able to live indefinitely and leave a substantial inheritance. The problem for people that use this rule of thumb is that many of them assume they are getting “average” investment results and that this “average” will be enough. Their actual results, which they don’t bother to calculate, may be much worse and will lead them to a major savings shortfall, delayed retirement date, shorter retirement period, a significantly reduced retirement standard of living, or even running out of money and trying to survive on Social Security. To achieve a successful retirement, you’ll need to address both your investment returns and your saving annual savings. It takes realistic planning, diligence, and usually some professional help. The old rule of thumb that you only needed to save 10% of your income each year worked well when your retirement income stool had three legs. If you’re fortunate enough to still have a good pension today, then maybe that figure will work. Most Americans who do some realistic planning, though, will find the savings percentage number may be 20%–30% depending on how early they began their retirement saving in earnest. Frank Moore, MS, CFP, began working in the investment business in 1983. He became a Certified Financial Planner in 1987 and has helped hundreds of clients in accumulating enough money to fund successful retirements. His firm, Vintage Financial Services, is able to manage 401(k) plan assets held in employer sponsored plans along with other retirement assets. The firm updates its clients’ retirement plans each year to help keep them on track. The firm’s advisors also review spending levels of retirees to advise them how to make sure their funds last them a lifetime.